Another multichrome today. This one is Artform Revolutionary Range #504 Red Blue. 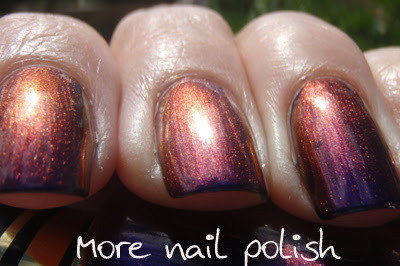 Which like I said before is a dupe for Ozotic pro #504. As the name suggests, this one changes from red to blue, with all the other blurply colours in between. Look, here is another that arrived less than full. I feel totally jipped. Before I actually read the post I genuinely thought this was 3 different polishes. LOVE it. I'll join you in your jipped indignantcy (word? ), hate it when that happens with any product! Wondrous colour! Where do you get this brand? I like the word jipped but I do not like almost full bottles - come on! These colours are amazing! It actually has purple inside although the name is only redblue. I think I like this the most so far. Looking forward to your next swatch (#501??). It sounds like the customer service from the Artform line is not good enough, which put me a bit off from ordering from them. Im so attempt, especially after seeing ur blog. I have a question for you. 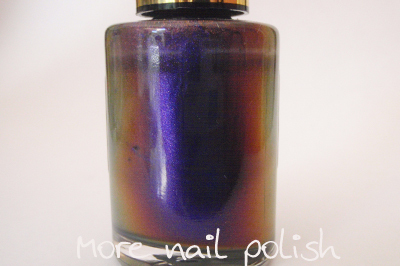 It's about Nfu Oh polish from VividNail. I'm wondering did you manage to get #51 from them? 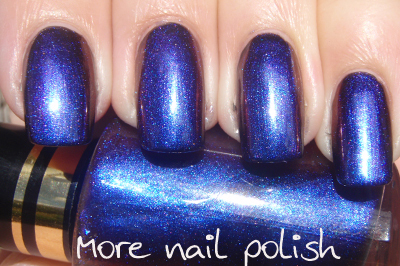 I'm totally obsessed with this polish. I called them last week but they dont have this one instock even the oversea side they order from don't have it as well. What a shame! And how did you buy and pay for the polishes from VividNail? Their online shopping site is totally useless. Jia - I ordered 51 too, but when I spoke to Alex on the phone last week she said the supplier was out! They were also out of the silver holo (#61). I have left my payment with them and said to just keep trying to order it for me every time they put an order in, so hopefully we will get #51 soon! I'll be posting swatches as soon as I do it though! I paid with Paypal after they sent me an invoice too. Kira - I'm green with envy! I can't believe you got 51 for $4 - I'm willing to pay $14.95 for it, but they can't even get it. Perdyclaws - I bought these from an Australian supplier called Artform Nails http://www.artformnails.com.au/. But they only ship to Australia (and shipping is expensive if you only buy a few polishes - $20 flat rate) The Ozotic Pro polishes are dupes and are easier to buy online and can be shipped internationally. 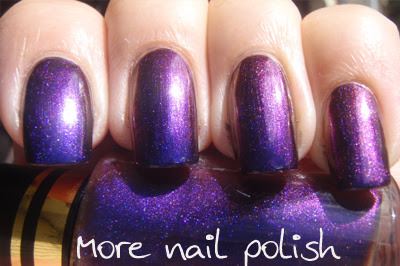 Both http://www.picturepolish.com.au/ and http://www.australianbeautysupplies.com.au/ have Ozotic Pro. Thanks for the reply, Kira. You are so lucky (I'm envy too). $4 for Nfu Oh is a steal, no mention is #51! They are charging $14.95 for it now. And the worst is they don't have 51, which make me continue search Nfu Oh swatch online to fine out any other worth getting, which dramatically increase my order quantity. I think I'm gonna to broke! Hi Kitties26, same same same here! I want 61 and 65 holo at first, but they don't have them even with the new stock just in. I think I might just get 62. And I want 40 and 51 flake, but they only have 40. I am thinking to get 52 instead, but the color of flakes of 52 is the same as 40, both are green/blue. As they are both very sheer, is it worth getting both? What do you think about 53(light baby blue with pink flakes), shall I get this one instead of 52? Regarding the payment, how did you pay thru paypal? They give you their email address or a link? I got an invoice which only states the direct bank deposit option. $20 shipping is very expensive. 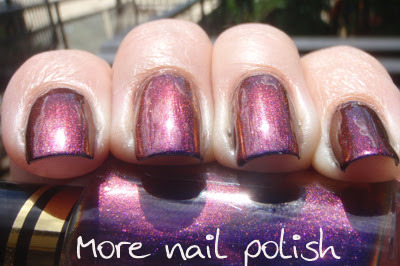 I though $11 shipping which VividNail are charging was expensive, but not now, comparing to Artform Nails. I might get Ozotic instead. I don't have #40, so I will see how #52 is first. It's so hard to choose isn't it! Thanks Kitties26. You are so helpful!